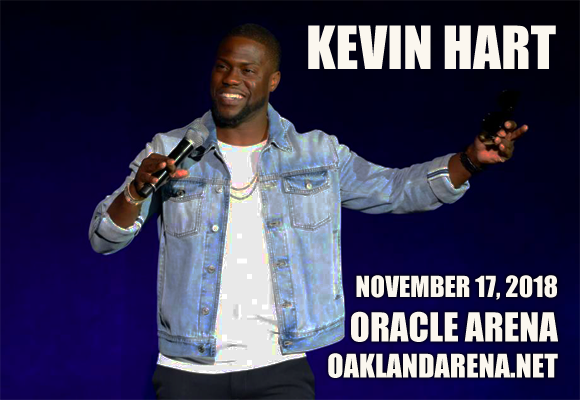 Kevin Hart is back for another smash hit tour, coming to Oracle Arena on Saturday 17th November 2018! The hugely successful actor and comedian embarks on his Irresponsible Tour this year, playing over 100 shows worldwide on the hilarious stint, which sees Hart addressing his public misdemeanors in his own inimitable, achingly funny way! Tickets available now! Actor and comedian Kevin Hart has come a long way since the 1990s, when he began making his name as a stand-up comic in the comedy clubs of Massachusetts. Now one of the world's biggest comedians (his record-breaking 2015/2016 What Now? Tour brought in over $100 million), he is also a hugely successful actor, having starred in several hit films, including: Little Fockers (2010), Get Hard (2015) and Jumanji: Welcome to the Jungle (2017). Not content with making waves in the worlds of acting and comedy, Hart also earned a Grammy Award nomination for the soundtrack to his What Now? Tour, and his memoir, I Can’t Make This Up: Life Lessons, debuted at Number One on the New York Times Bestseller list, remaining on the list for ten consecutive weeks. “Irresponsible” is Hart's sixth comedy tour.